Alaska Alpine Outfitters. AAO is a small, personalized guiding operation that takes a limited number of people hunting annually. 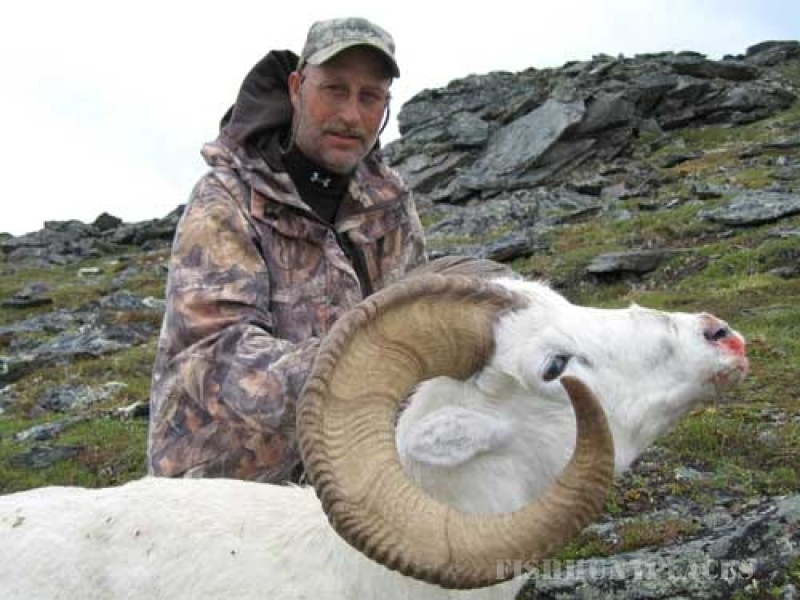 We specialize in Dall sheep. 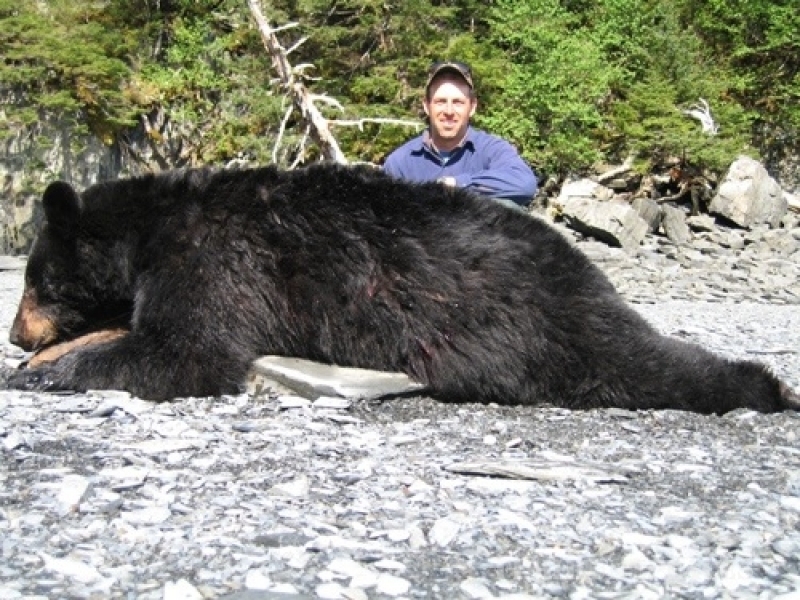 We also offer Caribou and Grizzly bear hunts. The main base camp is located in the heart of the Brooks Range. This is a backpack hunt in some of the most remote and beautiful country that Alaska has to offer. You will fly into base camp via a chartered bush plane. The main camp is located on the banks of a pristine river and is composed of wall tents. On some hunts we begin hunting right out of base camp, while on other hunts a 16 foot, flat-bottom boat is utilized to traverse the river to more remote hunt areas. Once the hunt area is reached the primary means of transportation is placing one foot in front of the other. Geographically speaking the Brooks Range is an old mountain range. What this means is that certain areas aren't as rugged and inaccessible as other mountain ranges in the state. All sheep country is steep, but the Brooks Range has areas where you can reach the summit of a mountain and walk ridge lines for days while searching for your ram. To take full advantage of the time you have for your sheep hunt, we will literally be living out of our backpacks. We will be sleeping in single person tents. Camp will be made where we are when the sun goes down. The topographical features of the Brooks Range are conducive to camping in the heart of sheep country. We usually stay right up on top of the mountains while hunting. Water typically isn't hard to find. So we literally kick out a flat spot just below a ridge line and call it camp for the day. Though it isn't luxurious and not for the weak hearted, there are several benefits to this type of hunting. It allows you more productive hunting time. Instead of hiking hours out of a large base camp every day you can get up in the morning and begin hunting immediately. It is a lot less stressful on your physical condition; it allows more time to get a good night's sleep. Instead of hiking back to a base camp in the dark, you will be nestled in your warm sleeping bag with a full belly getting more much needed rest. Being above the Arctic Circle, the sun usually sets around 12:30 a.m. and rises around 04:00 a.m. at the beginning of sheep season, so keeping your body properly rested can be hard to do in the first place. Living out of your backpack gives you the option of being extremely versatile. One example would be locating a ram in the evening with barely enough time to make a stalk and get within shooting range. If you were hunting out of a base camp located miles away, you would be faced with a tough decision. Do you pursue the ram and risk staying a cold miserable night on the mountain that could possibly turn into a survival situation? Or do you head to camp for food and sleep, only to spend the better part of the next day trying to get to where you were when you located the ram? Then attempt to find it again and hope it hasn't moved out of the country. This has happened several times to us while sheep hunting. On those occasions we were able to stalk and harvest the ram. Then set up "camp" in the dark and get a comfortable nights rest. Only to wake up in the morning and find the mountains completely socked in with clouds and rain. Foul weather has been the downfall of many sheep hunts. You can hike through the clouds and rain back to base camp while loaded down with sheep meat and horns. However, you can't hunt what you can't see. So when the weather blows in, you lose the opportunity to hunt. This type of hunting isn't for everyone. But if you can hike about five miles a day with a 50 pound pack, have the mental fortitude, and possess an adventurous trait that is required to hunt sheep in true wilderness, your chances of going home with a ram are very, very good! Our Caribou camp is located on the North side of the Brooks Range in some of the most remote country you will ever find in our modern day society. We are literally hundreds of miles from the nearest city with a hospital. Typically the only plane you will see is the bush plane that drops you off and picks you up. The Caribou are plentiful and taking the trophy of your liking is a definite possibility. Caribou camps consist of flying into the hunt area, landing on a remote lake from where we will establish camp and hunt nearby. Due to weight restrictions on the bush plane luxurious meals are not an option. These are Spartan type hunts with freeze dried meals and smaller tents. Being conducted deep into the heart of the Arctic the temperatures on these hunts can be cool to cold depending upon the year. Caribou are highly nomadic and nearly always moving. The hunts take place in areas where Caribou migrate through and patience is the name of the game. Some days we see one group of ten caribou all day, while other days we’ve seen groups of 30 to 40 animals passing by every hour for the entire day. The grizzly hunts are conducted much like the caribou hunts. Same hunt area and same hunting style. The key to grizzly hunting is persistent and constant glassing with binoculars and spotting scopes. We offer three ways to hunt grizzly. 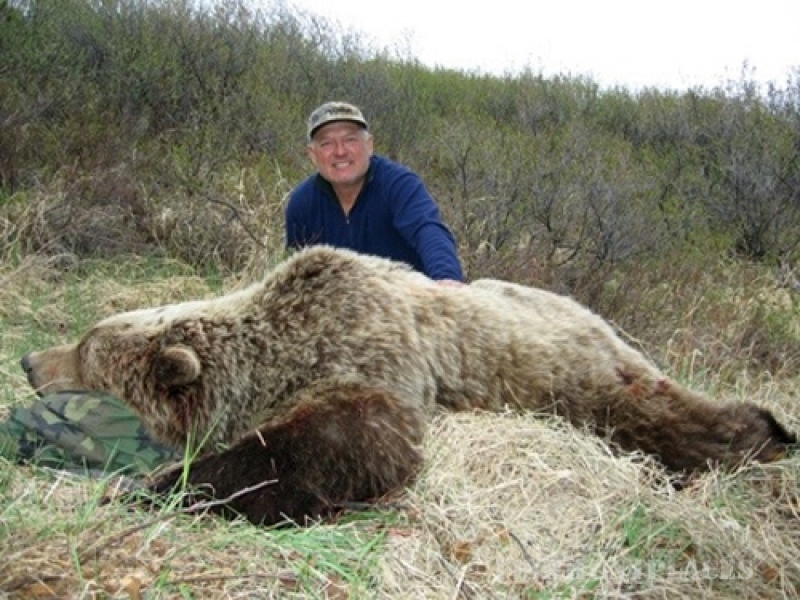 Book a grizzly hunt and solely hunt grizzly. Book a sheep hunt and add the grizzly as an option with a trophy fee. This type of bear hunt is highly opportunistic. From time to time sheep hunters have taken grizzly while pursuing sheep. On this option you only pay the trophy fee for the bear if you harvest a grizzly. Book at caribou/grizzly combo hunt and hunt both species simultaneously.